Colorful and fun flower 2" martingale dog collar! 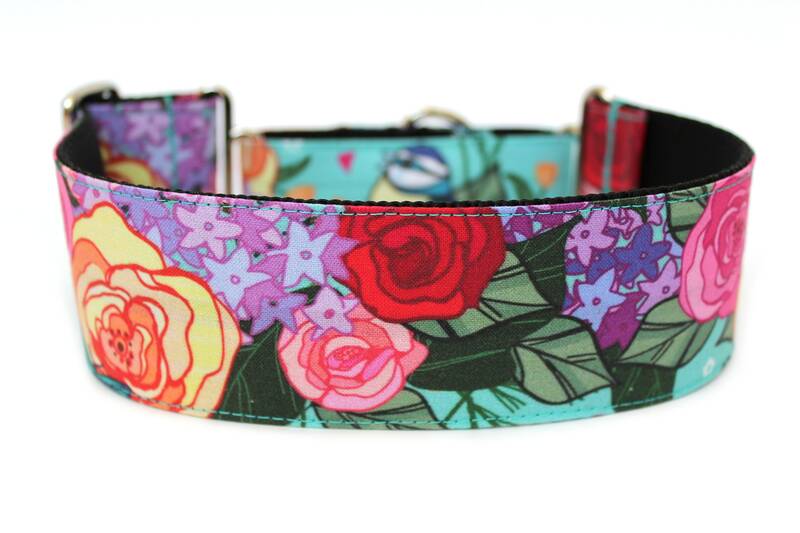 This floral martingale dog collar is made with 2" black nylon webbing and matching 1" nylon webbing, silver hardware, and a turquoise design with colorful flowers all over! This martingale collar is perfect for all year long!